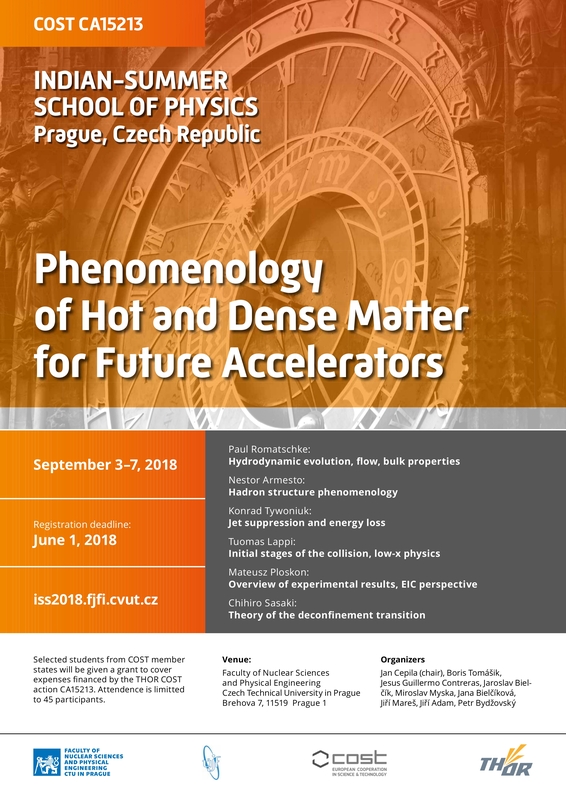 Indian-Summer School is a series of summer courses on various topics of physics which has been held annually in Prague and its vicinity since 1988. It is intended for graduate and advanced undergraduate students, postdocs and researchers in the field. The school has been organized by Nuclear Physics Institute of the CAS, sometimes together with Faculty of Mathematics and Physics, Charles University in Prague or Faculty of Nuclear Siences and Physical Engineering, Czech Technical University in Prague. Each year of the School has its own website. This page contains just links to them.